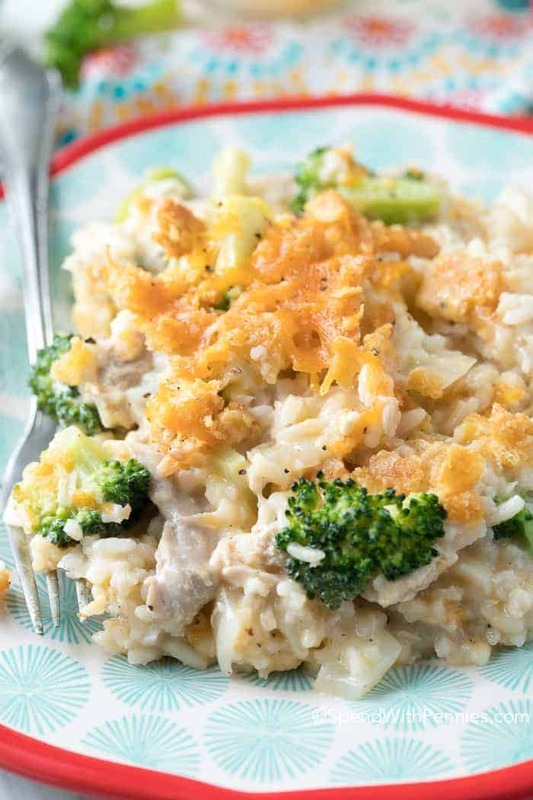 This easy Broccoli Rice Casserole uses simple pantry ingredients to turn leftover turkey into a quick and easy meal that the whole family will love! 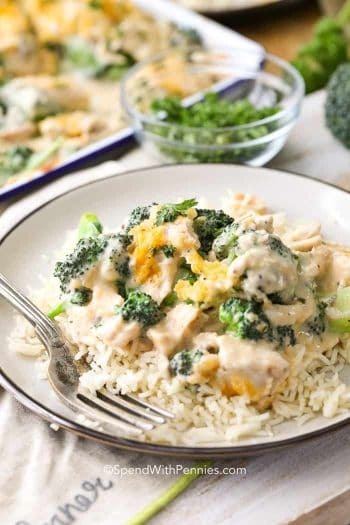 This comforting casserole features perfectly cooked rice, tender broccoli and juicy turkey in a creamy cheesy sauce all topped off with a buttery cheesy topping. The best part is that it uses ingredients you likely have on hand already and takes about 10 minutes of prep! 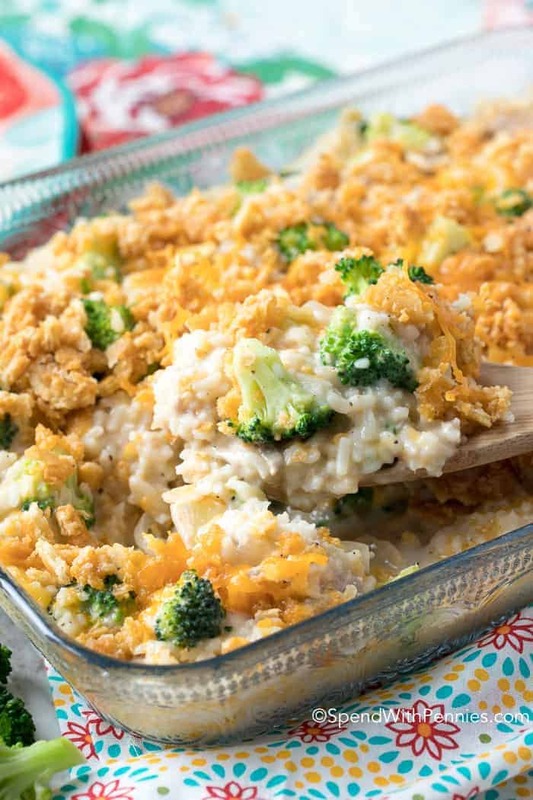 I am so excited to have partnered with Walmart to bring you this belly warming Broccoli Rice Casserole recipe. I love the holidays and everything that goes along with it! I love being around family, planning big feasts, festive desserts and all of the fun decor. Fresh baked rolls, the smell of roasting turkey and cranberry flavored cocktails. As you might suspect, my favorite part is the food… a perfect turkey dinner with all the fixin’s; Sweet Potato Casserole, stuffing, Green Bean Casserole. I often host and when I do I end up cooking for 25 people but I always cook enough to ensure I have leftovers! I actually think I might like the leftovers almost more than the actual turkey dinner (except the stuffing, I like stuffing more than anything). 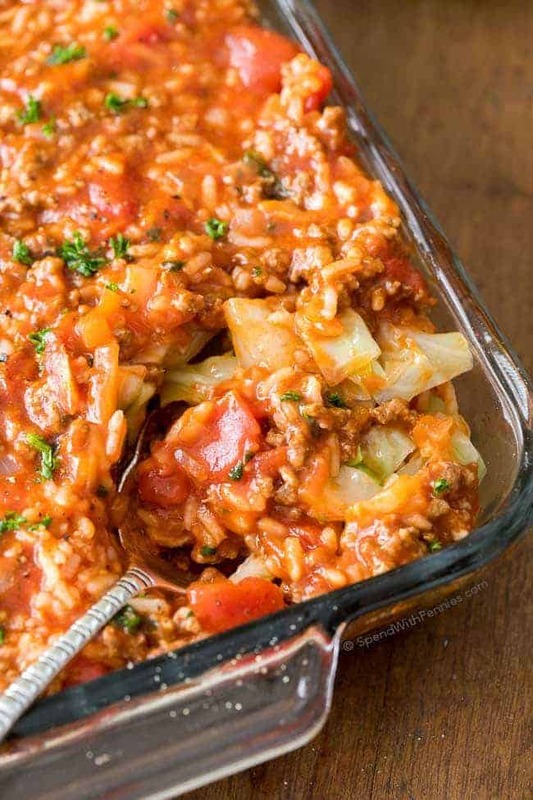 There are countless things you can make with the leftovers from turkey soup to this easy casserole!! I usually plan for my leftovers and stock up on of the things I’ll need at Walmart while I’m grabbing all of my ingredients for turkey dinner! Since Walmart has everything I would ever need, this makes things easy; especially when I’ve got a house full of guests! Once turkey dinner is over, I usually choose recipes that are pretty much effortless to prepare over the next week or two. 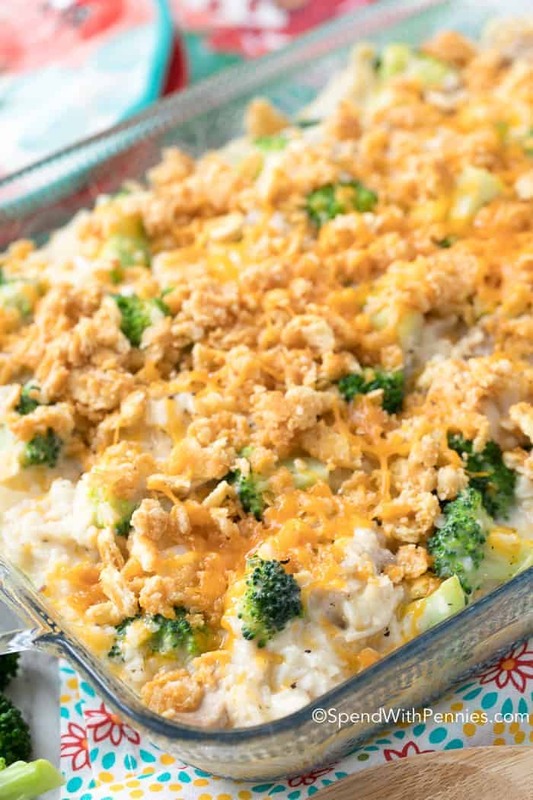 This broccoli rice casserole definitely fits the bill! 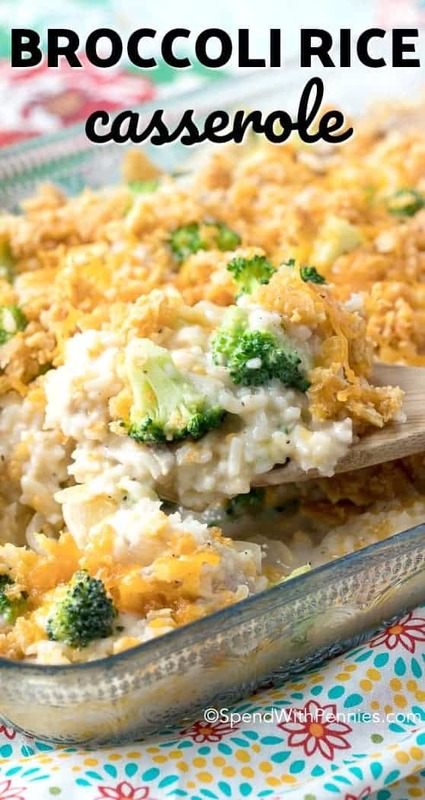 This easy broccoli rice casserole starts with quick cooking rice made with reduced sodium chicken broth to add lots of flavor. It’s combined with sweet onion and tender-crisp broccoli. I love the texture of fresh broccoli in this casserole but if you prefer, you can also grab packages of frozen broccoli florets in the freezer section at Walmart or even use leftover veggies (carrots, broccoli, green beans, Brussels sprouts) from your turkey dinner! 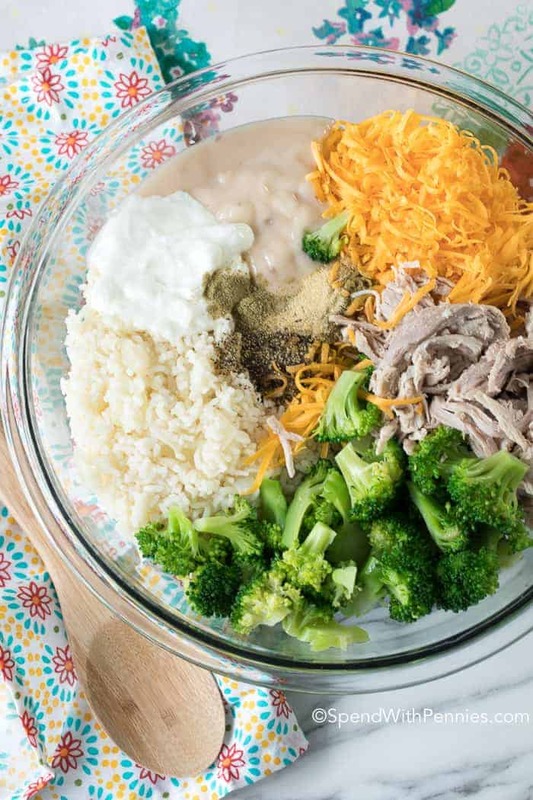 The rice and broccoli are then mixed in a simple creamy sauce with cheddar cheese and of course leftover turkey. 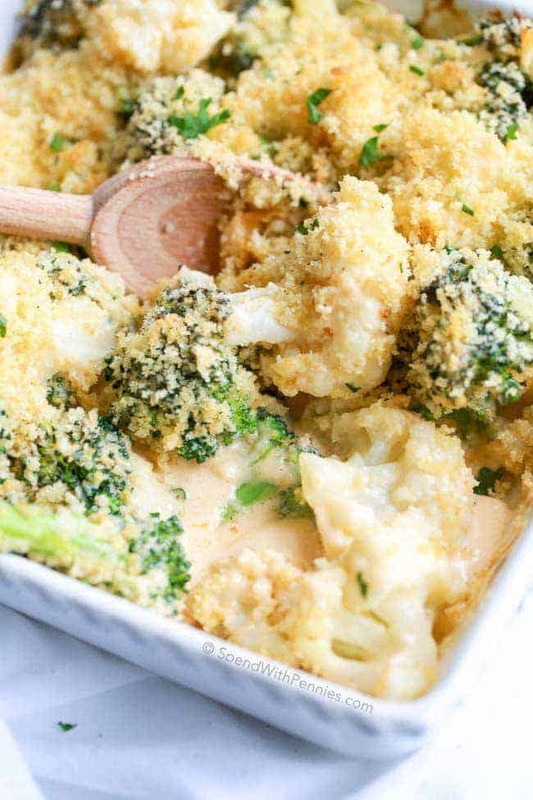 It’s topped with a buttery cracker crumb topping (I love Ritz® crackers in the topping of this broccoli rice casserole) and finally it’s placed in the oven to bake until hot and bubbly! This recipe is extremely versatile and the perfect way to use up your holiday leftovers or even to use what you have in your fridge! 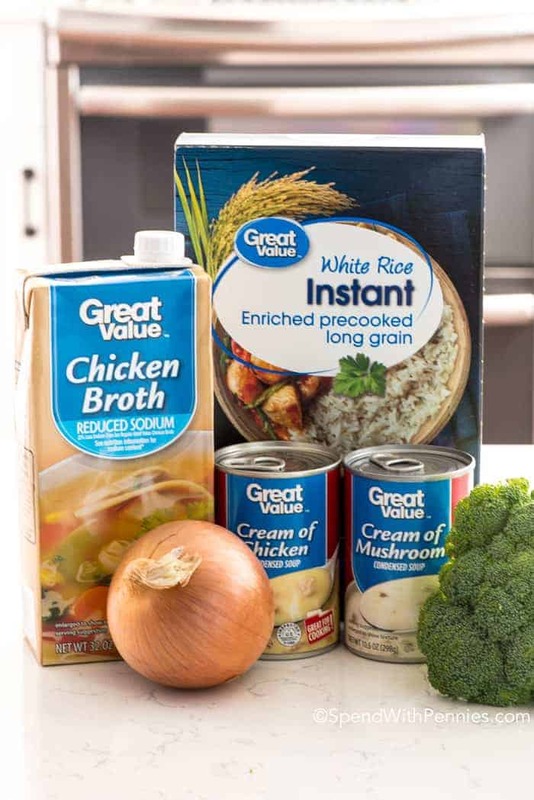 Substitute leftover turkey with whatever you have on hand including leftover ham, cooked ground beef or even turn it into a chicken broccoli rice casserole! Use whatever veggies are in your fridge, just cook them until tender crisp and add them in (or use your leftover veggies from your turkey dinner)! 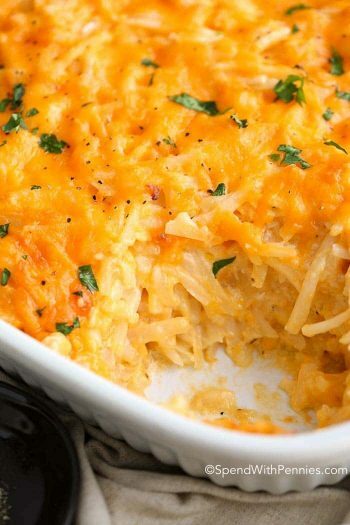 You can also sub in whatever cheeses you happen to have in the fridge… cheddar, a bit of parmesan, pepper jack… they’re all great in this recipe! 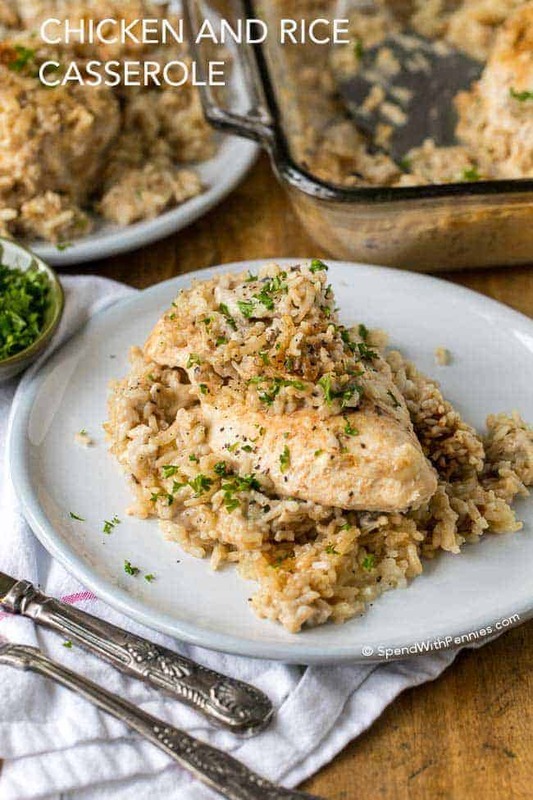 If you happen to have cooked (or leftover) white or brown rice, it works perfectly in this recipe too! One last thing!! Everyone always asks me about my pretty plates and napkins (and my most adorable glass 9×13 pan above)! I got them at Walmart too, they’re all a part of The Pioneer Woman collection (and there are lots of other amazing choices besides the ones I have)!They’re gorgeous, bright and cheery but they’re also a great quality and stand up well to the wear and tear of everyday family meals. I highly recommend them! Steam broccoli until tender crisp. I am excited to have partnered with Walmart to bring you this belly warming Cheesy Broccoli Rice Casserole recipe. While I was compensated for this post, all thoughts and opinions are my own. Working with great brands I love allows me to keep bringing you the great recipes you love!